Though I've posted extensively on my trips to Israel, Pat Boyle at the Travel Show on KPAM 860 radio in Portland, Oregon recently interviewed me on that country as a venue for cool adventure travel. And, surprisingly, even savvy travelers don't associate Israel with mountain biking, hiking, skiing and scuba diving. Listen to my take on the subject and I'm sure you'll come away with an entirely new view of this country. You're such a well-versed traveler. I love coming to your site and seeing all the places I should visit. Hi Martha & Me, Thanks for your kind comments. Always a pleasure to hear from you. Glad I can provide some insights on cool places to visit. Very cool! I loved this, and just Stumbled it so other intrepid travelers can find it as well. I really have to get to Israel sometime soon and try out all this stuff. You're right--I don't think most people think of Israel as an adventure travel hot spot (myself included). Thanks for the great info. Have not yet visited Israel, and would never know that all these adventures existed if it were not for your post - thanks for the info. Hi Jennifer, Thanks for the stumbles. And, when you find you're headed to Israel, don't hesitate to ask me for additional cool goings-on. Hi ReadyMom, It's always great when you find a new angle on a country, in this case adventure sports. Glad you liked the post. Hi Sheryl, Yes, when I visit a country, I'm always wandering around and asking a lot of questions and pocking into a lot of shops to find out about activities that are off the tourist radar. What an interesting take on a place I've never been. I love that I can live vicariously through you until I get there. Hi Stephanie, Thanks for visiting. I'm glad my posts provide some cool travel insights. Hope you make it to Israel at some point. I was at the Dead Sea many years ago and was completely surprised by how much there is to do there. It's a total understated adventuring jewel. 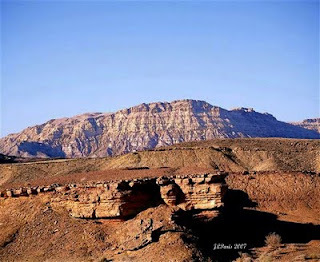 Hi Alisabow, I was also surprised by the array of activities at and around the Dead Sea. Too bad this major body of water is drastically shrinking. get your ready money side with! No B.S. Meet approval it into the open! Oh wow this is awesome, absolutely love this!